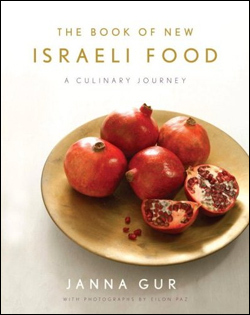 Janna Gur’s The Book of New Israeli Food is confused about what kind of book it would like to be. It is a beautiful coffee table book with its lickable photography, silky paper, and hefty price tag. 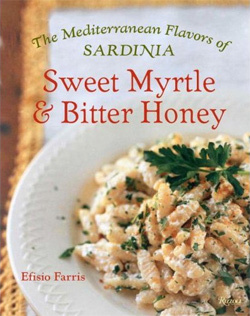 But it is also a cookbook with its imaginative food and usable recipes. Contrary to what the publisher might think, these two books are not completely compatible. Gur obviously spent a long time researching New Israeli Food. The chapter on fish isn’t just full of recipes like Trout Casserole and North African Hot Fish Stew — it also explains the devastating effect overfishing has had on the region’s economy. The recipes are organized in a way that makes sense to her research, but less so to a reader looking for something to make for dinner. Recipes for specific holidays are broken out, which makes sense, but breaking up the salad recipes and scattering them through Simple Pleasures, Street Food, and Salads only makes sense for the coffee table book. The photography is stunning. I wanted to put the photograph of the Malabi Mousse Cheesecake in my mouth — its pearly white cake gleaming in the sun, the fresh rose petals swimming in a thin layer of glassy gelatin. There are also photographs of seagulls hovering in the air above fisherman bringing in the catch, and groves of pomegranate trees that look like something out of a fairy tale. It’s a book that deserves to be displayed. Thus the problem. 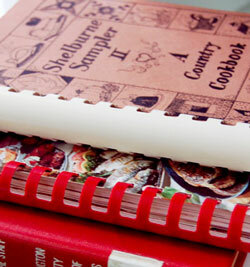 In order to keep the book in its pristine condition, one might be tempted never to cook from it. I debated that myself, and then thought, well, maybe I’ll leave the book in the living room while I cook: Unless you have an enormous kitchen with its own cookbook island, after a few uses the book will be oily and messy, with flour caked into its spine. But that’s the way it should be, because these recipes — with simple directions and descriptions that make every recipe sound deeply satisfying — demand to be made. 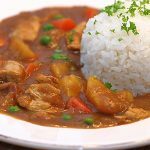 I decided on a compromise and wrote shorthand versions of the recipes to cook by. I threw together the Chicken and Noodle Hamin on the morning of what I knew would be an extremely stressful day, and then placed it in the oven to bake at a low temperature for at least eight hours. It was originally conceived for the night before Shabbat, so that there would still be a freshly made meal in the morning. The recipe warned, “They will make you sleepy, which is fine since there is nothing better to do on a Saturday afternoon.” I pulled out the Hamin at 9 p.m., and the sweet potatoes and onions had turned into a caramelized goo coating the chicken and noodles. At that moment, there was not a better meal in the world. It was also refreshing to find plenty of vegetarian recipes. Not just a lentil soup (although there is that, and it justifies Esau’s decision to barter his birthright for a bowl of the stuff), but delicious food that would never give a meat eater a moment’s pause. I invited vegetarians and meat eaters alike over for the Mediterranean Pashtida. The book translates that as “quiche,” but the dish is not at all quiche-like. It has no overwhelming eggy-ness, and none of that spongy quiche texture. Instead, with the eggs cut with a considerable amount of cream, it was light and gorgeous. 1. Prepare the pastry shell: Mix the flour and salt in a food processor. Add chilled butter and pulse until the mixture forms crumbs. Add water and pulse only until a ball of smooth dough is formed. Cover with cling wrap and refrigerate for one hour. 2. Roll out a thin layer of dough on a well-floured surface and line the quiche pans. Chill for at least 30 minutes. 3. Prepare the filling: Preheat the oven to 200 degrees Celsius, 400 degrees Fahrenheit. 4. Roast the peppers over an open flame until the skin is charred. Cool in a sealed plastic bag (to make peeling easier). Peel, remove seeds and membranes, and cut into strips. 5. Pour some olive oil over the eggplant and bake for about 20 minutes, until the cubes are light brown and tender. Remove but don’t turn the oven off. 6. Saute the onions and leeks in olive oil until they turn translucent. Remove from the pan and cool. 7. Prepare the Sauce Royale: Combine all the ingredients into a smooth mixture. 8. Assemble and bake: Spread the onion-leek mixture on the pastry shell, lay on the eggplant cubes and pepper strips, sprinkle with parsley or coriander and carefully pour on the sauce. 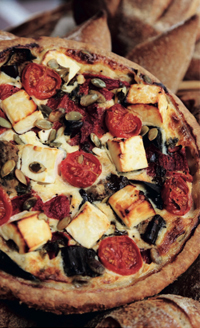 Arrange the cheese cubes and cherry tomatoes and sprinkle with the pumpkin seeds. 9. Bake for 25 minutes until golden brown. If the quiche browns too quickly, cover with aluminum foil and remove the foil 5 minutes before taking the quiche out of the oven.